Promoting your product using professional and thought-out advertisement that’s a good point for your business in general. 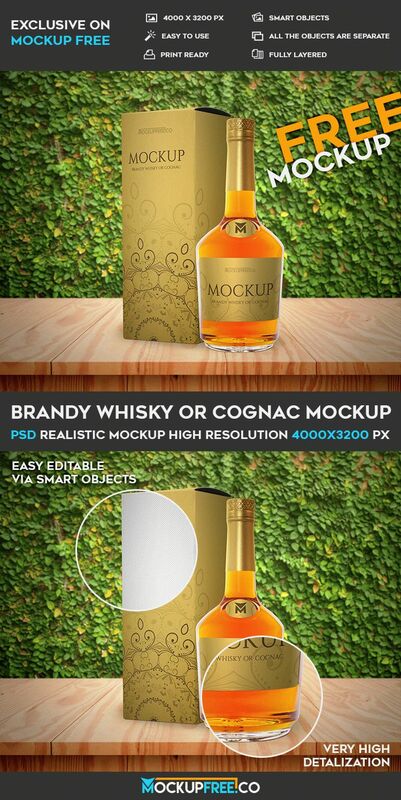 Cognac Bottle it is our Free PSD Mockup that is very elegant and really wonderful. Make your project successful with this qualitative PSD mockup!